There are two major stories in Ireland at the minute. One is the tribulations of the Taoiseach, Enda Kenny, and something of a crisis in the Fine Gael party. 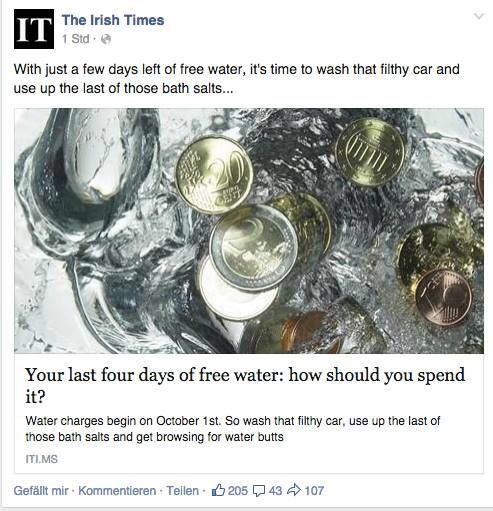 The other is the introduction of water charges through Irish Water.